Pune has been a prime city ever since India attained Independence. While the city continues to flourish with IT hubs and institutions, there are certain hidden/unknown facts that we bet, you have no clue of. Read on to find out. From the numerous archaeological studies, we know that Pune initially was called Poona, Punaka Desha, Punevadi, Kasba Pune, etc. All those History and Geography scholars out there might also know that Pune is situated on the banks of two rivers; Mula and Mutha. But what’s interesting is that the name Pune was derived from the word ‘Punya’. It actually means confluence of two rivers. We wonder if anyone knew about this! 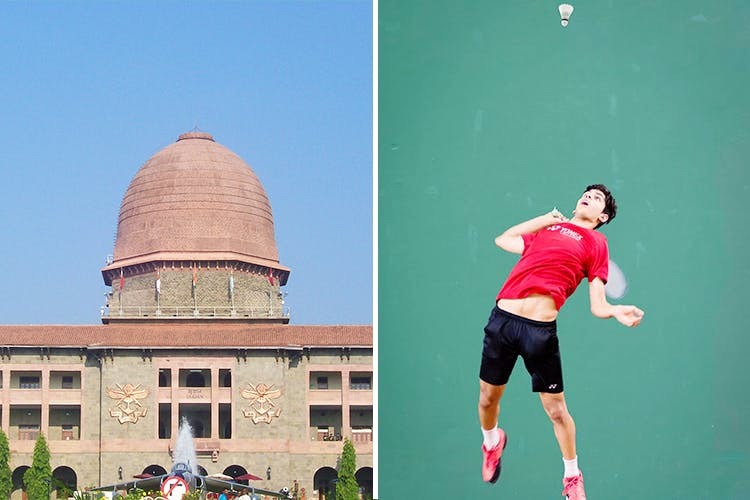 Punekars, did you all know that the sport, Badminton was a game invented by the British at the time of their rule in India. Initially, it was also known as Poona or Poonah and the first rules for the game were drawn up in 1873 in Pune since it was particularly popular here. So, there’s the risen collar of our shirts! Back in 1848, Savitribai Phule along with her associate Fatima Begum set up the first girl’s school at Bhide-Wada in Pune. Tatyarao Bhide school was named after the owner of the property on which the school was built. For almost 170 years now, Pune has been a major pioneer and has been continuously encouraging empowerment of women and girls alike. With many colleges and institutions, Pune, with pride is known as ‘The Oxford of the East’. Taller than the ‘Great Khali’, taller than ‘The Mountain’, is the Kulkarni family from Pune. Sharad Kulkarni, head of the family is 7ft 1.5in and his wife Sanjot is 6ft 2.6in. Along with their daughters – Mruga and Sanya, the combined height of this family is an astonishing 26 ft! They missed the Guinness World Record by just an inch, but they did set the national record in the Limca Book of Records! National Defence Academy, located at Khadakwasla near Pune is the Joint Services academy of the Indian Armed Forces. It is the first military academy in the world where three forces – Army, Navy and Air Force – of defence are trained together. Another interesting fact about the NDA is that it has excellent infrastructure along with 32 football fields! Yes, it’s true. Making a turban or ‘paghdi’, as it’s locally called, is anyway an exhausting task in its self. However, Mr. Shailesh Yadav, a fellow Punekar, has taken pagdhi-making to another level altogether. He has set a new world record by making a paghdi measuring 10 feet in height and 30 feet in diameter, making it the largest in its existence.